Marvel & Netflix are proud to announce that acclaimed talents Ayelet Zurer, Bob Gunto, Toby Moore & Vondie Curtis Hall have joined “Marvel’s Daredevil,” an all-new thirteen-episode series premiering on Netflix in 2015. Known for blockbuster films such as “Man of Steel” and “Angels & Demons,” Ayelet Zurer will play Vanessa Marianna, an art dealer whose chance meeting with Wilson Fisk dramatically changes their lives. An Emmy-award nominated actor known for his powerful work in “ER” and “Chicago Hope,” Vondie Curtis Hall will play Ben Urich, an investigative journalist at the New York Bulletin who’ll soon find himself drawn into a war for the soul of Hell’s Kitchen. 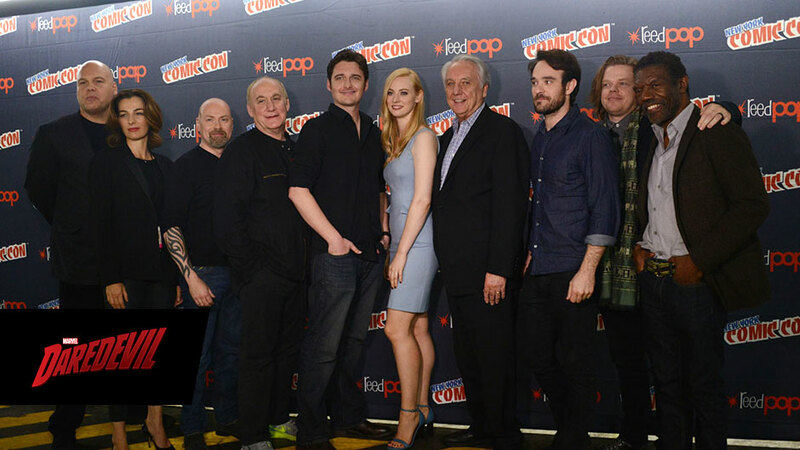 Garnering acclaim for nuanced work in projects such as “The Pacific” and “John Wick,” Toby Leonard Moore will play Wesley, right-hand man and confidante to Wilson Fisk. A veteran of blockbuster films “Shawshank Redemption” and “Argo,” Bob Gunton will play Leland Owlsley, an enigmatic and key figure in Wilson Fisk’s crusade to remake Hells Kitchen. “”Marvel’s Daredevil” follows the journey of Matt Murdock, who was blinded as a young boy but imbued with extraordinary senses, now fighting against injustice by day as a lawyer, and by night as the super hero Daredevil in modern day Hell’s Kitchen, New York City. Next Article This Just Happened – Highlights from NYCC – Champions of Justice!